Redrew an image I found online of Kion and made a better version of him. If you like Kion's normal design then more power to you, but I personally think it's really ugly and he doesn't fit in so I made another one (I'm aware it's a kids show but I really hate the designs). 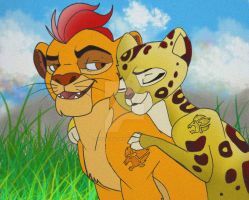 Please no hate, it's just my personal opinion and you can happily watch normal-Kion on the TV show. 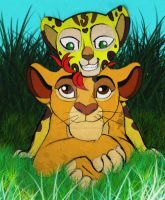 You're welcome to use this design on Kion if you credit me.